Eight seasons for one concert! 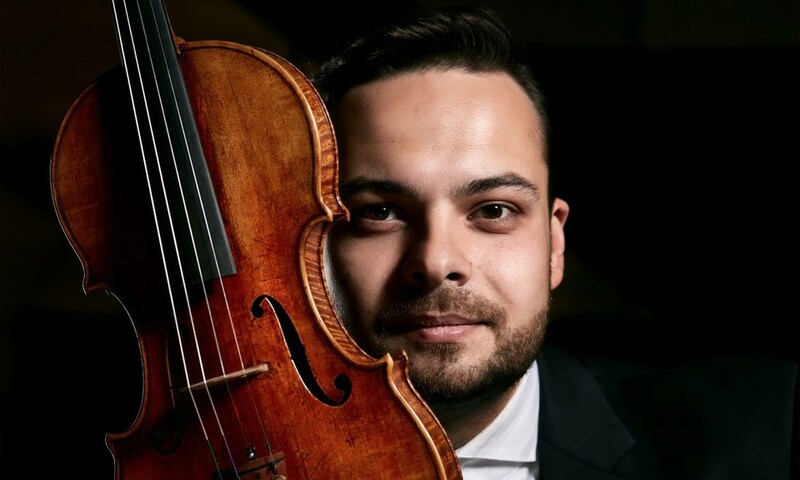 The immortal cycle by Antonio Vivaldi and the four tango by Astor Piazzolla will be performed by the violinist from Slovakia, Dalibor Karvay, and the Ukrainian Festival Orchestra under the conducting of Ivan Ostapovych.Both Vivaldi and Piazzolla are inventors. Italian genius has created a solo instrumental concerto, trying to distribute what will later be called program music. Astor Piazzola also made a revolution, turning street dance into a new style in music - tango nuevo.Ancient and modern, restrained and passionate, distant contemplation and the moment of living here and now. This music will not leave you indifferent! 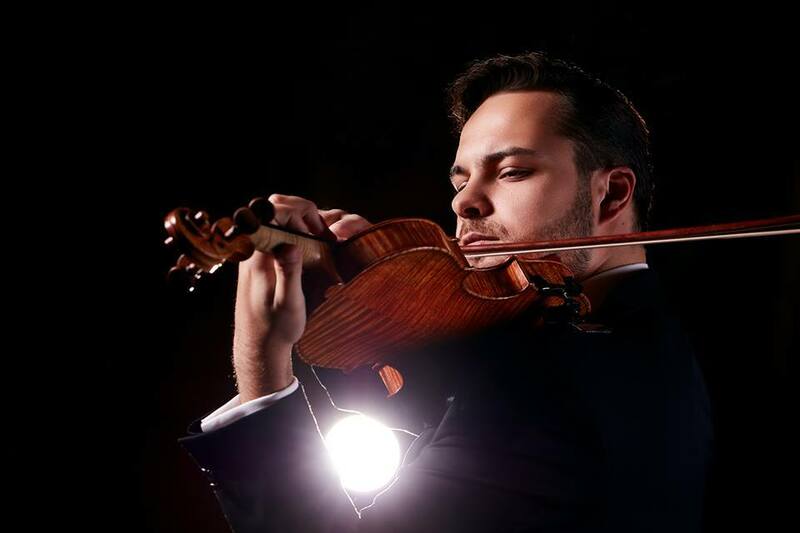 Dalibor Karvay started playing the violin under the guidance of his father at the age of three. He has been showing incredible musical talent since his childhood. During his studies at the Primary Art School in Vrútky, he made several recordings for the Slovak Radio in Bratislava. He graduated at the Žilina Conservatoire and Vienna Conservatoire. He also took part in numerous masterclasses lead by famous pedagogists - Euduard Grach, Mintscho Mintschev, Herman Krebbers. His biggest successes include the Eurovision Grand Prix - Young Musician of the Year in 2002, the victory in the competition of David Oistrach in Moscow in 2008. Worthy of mentioning is also a concert for Prince Charles of Wales in theWindsor Castle in 2003 together with Mstislav Rostropovič. Karvay repeatedly accepted the invitation to Seiji Ozawa International Academy inSwitzerland. 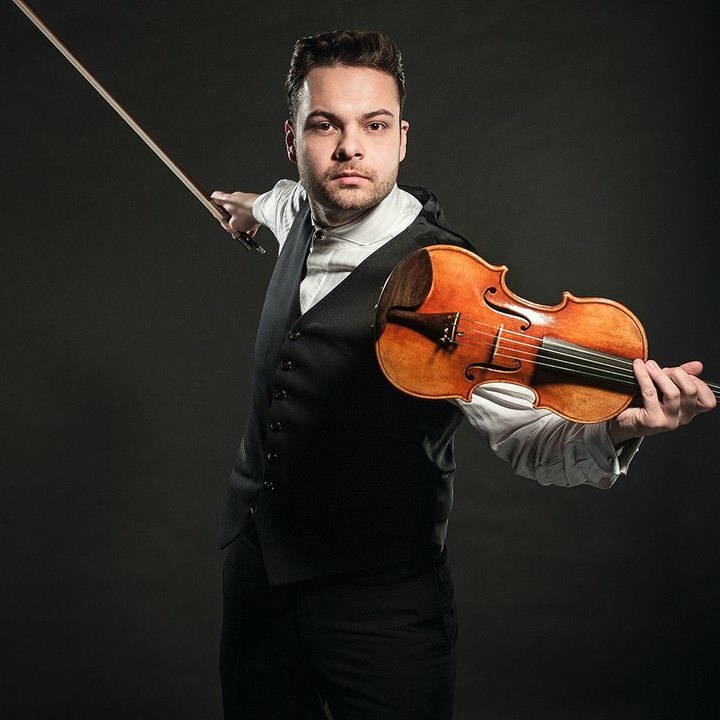 As a soloist he has worked with many renowned conductors and orchestras, chamber musicians.Besides his concert career Dalibor Karvay is teaching as professor at theMusic and Arts University of the city of Vienna. 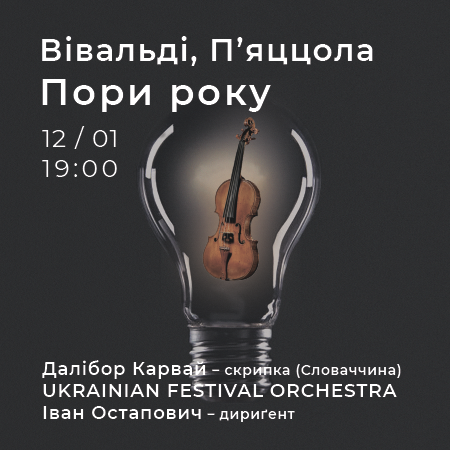 The Ukrainian Festival Orchestra (UFO) grew out of the chamber orchestra Collegium Musicum, founded in Lviv, western Ukraine, in 2014 by conductor Ivan Ostapovych and culture manager Taras Demko. The repertoire of the UFO includes music from the Baroque to the present, but its fundamental aim is to record Ukrainian classical music and popularise it all around the world. Among the major musicians with whom the UFO has worked as the violinists Noah Bendix-Balgley, Corey Cerovsek, Sergey Ostrovsky and Josef Spaček, pianists Antonii Baryshevskyi, Andrei Gavrilov and Vadym Kholodenko, cellist Jacob Shaw and the violinist-conductors Sigiswald Kuijken and Lev Markiz. 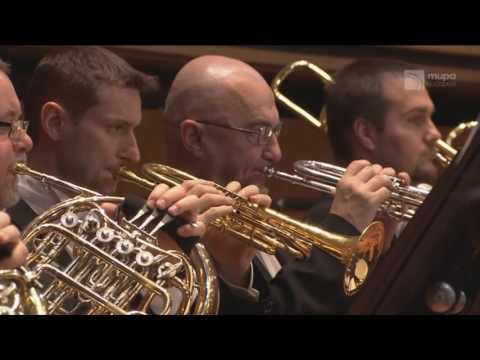 A. Vivaldi - The Four Seasons.